W.R. Case Exotic Turquoise Tiny Muskrat | BUDK.com - Knives & Swords At The Lowest Prices! The American Southwest has long been a significant source for beautiful turquoise. In fact, it has been mined there since Pre-Columbian Native Americans used stone tools. Today, it&apos;s more striking than ever when combined with Bloodstone, Jet and Mother-of-Pearl in this truly exotic collection. 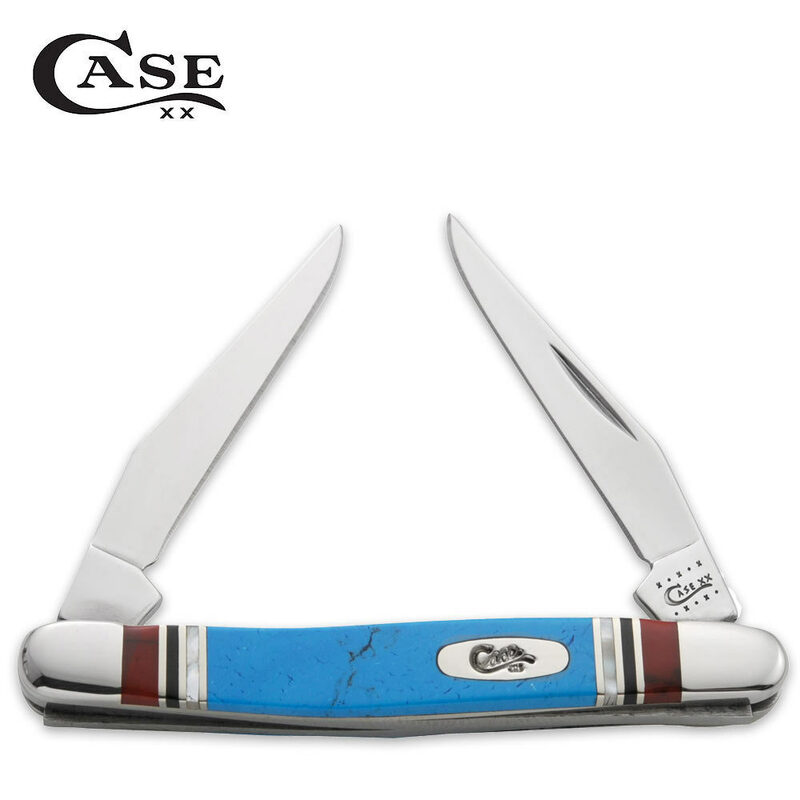 The Case turquoise Tiny Muskrat offers two signature Case Tru-Sharp stainless steel clip blades. 2 ¾" closed.